Hello! 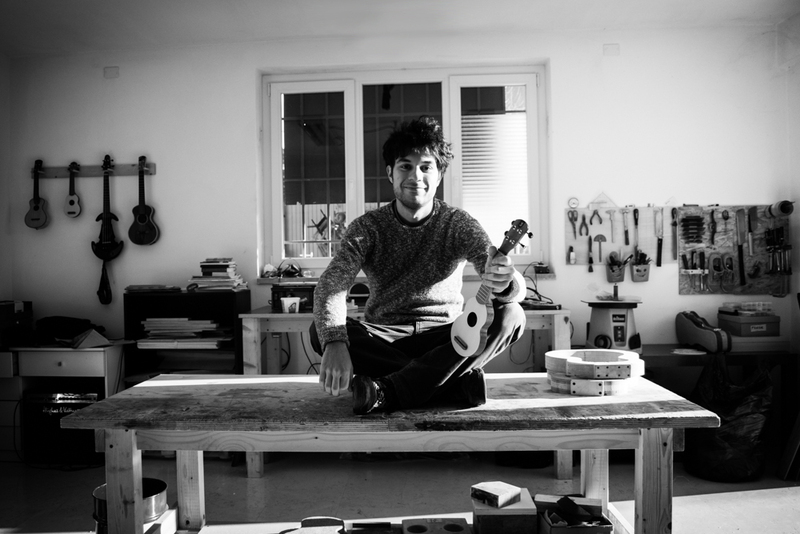 My name is Marco Todeschini and I am a luthier specialized in the ukulele making. Why this job? It’s a story full of serendipity and funny anecdotes. Since I was a little kid my dad taught me how to build small wooden toys. While in high school I built my very first guitar and it was love at first sight: I discovered a passion that led me for the following years to build self-taught instruments and then to leave my job to attend a luthierie school. 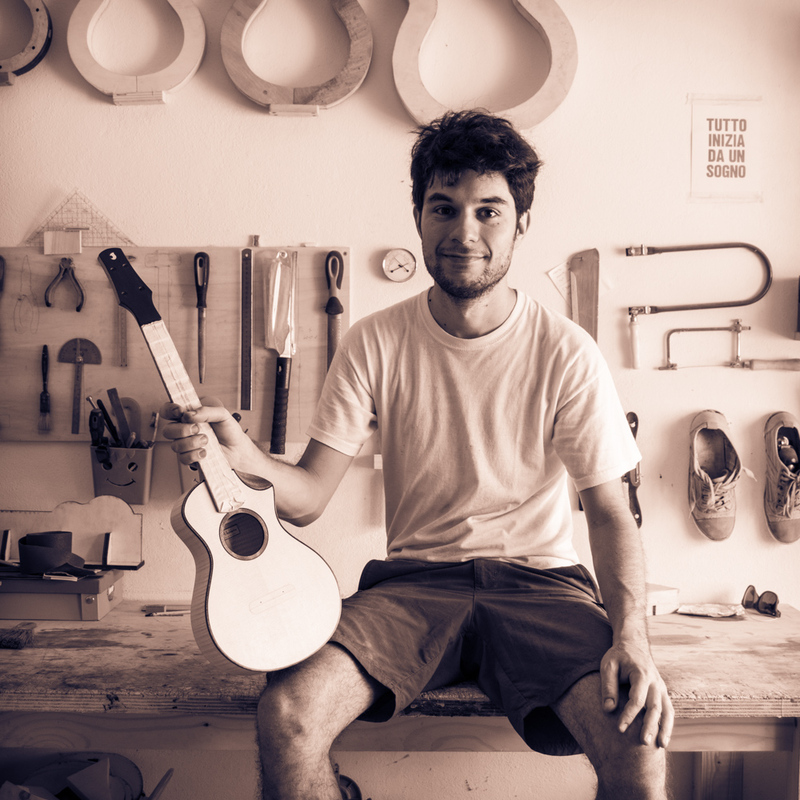 I studied 4 years in Milan where I learnt lute and classical guitar traditional building methods. During my studies I happen to need a small instrument to fit in a hand-luggage to take to the United States, a present for my girlfriend who spent a year there. This is when I discovered the ukulele! After the first one I made a second and a third one, to the point it became a drug and now I cannot stop! After my Diploma it was time to get out of the garage that kept my dreams for the past 8 years. I started looking for a small workshop to settle and I got welcomed by Verona FabLab a fabrication laboratory where innovation has shape of 3d printers, laser cutters and CNC routers. The combination of the traditional tecniques with the new technologies gave birth to something unexpected.